Throughout her father's presidential campaign, Ivanka Trump has been positioned as the humanizer of Donald Trump, the softening of his bombastic personality. She's attempted to lighten the blow of some of his harshest comments and serve as the shining proof that he would be "really good" for women (or at least not detrimental). But in the wake of an increasing number of sexual assault allegations lodged against her father, Ivanka has disappointed me by standing by her dad. The move is frustrating, but then again, did I really expect anything more when I consider Ivanka's track record this campaign? My father's comments were clearly inappropriate and offensive and I'm glad that he acknowledged this fact with an immediate apology to my family and the American people. The greatest comfort I have is the fact that I know my father. Most of the people who write about him don't. I do. So that gives me an ability to shrug off the things that I read about him that are wrong. This is not the first time Ivanka has defended her father's misogynistic behavior and denied allegations against him. In a Fox News interview last month, she called him an "equal opportunity offender," and posited that since her father has supposedly been as incendiary with women as he is with men, it is a sign of his respect for them, that they can handle the same harassment he doles out to men. I'm especially disappointed now, though, because Ivanka had a unique opportunity here. She is the candidate's daughter, yet she also has built a personal brand on promoting strong, career-minded women. While she understandably has obligations as the candidate's daughter, she is also the face of a brand for young, professional women, with a website which provides life advice for everything from career advancement to motherhood — and she is doing her fans a disservice in not having a more nuanced response to the allegations. 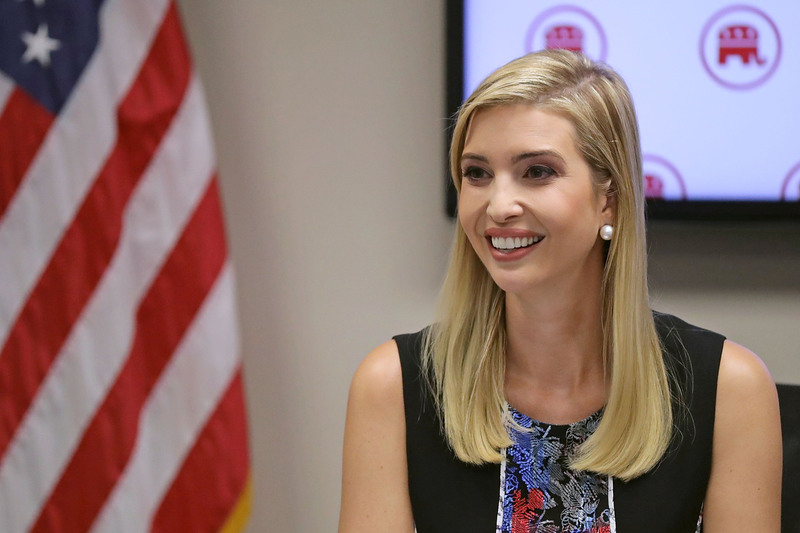 She has influenced her father's policy before, with her call to add mandatory paid maternity leave to his platform (though it ultimately drew criticism of the maternity leave policy of her own company). I like to think she could've used her power to influence her father now, and start a real conversation about the hurdles women still face. It would've been a welcome contrast to her brother Donald Trump Jr.'s tactic, which was to say in a 2013 interview that women should leave the workforce if they can't deal with harassment. Ivanka certainly feels a daughterly duty to defend her father. But at the same time, the example she's setting is that lewd behavior can be ignored if it's done by someone you love. And that's a dangerous mindset to endorse.